KAMPALA – The Minister of Health, Jane Aceng has revealed that at the moment, Uganda is only in position to meet the 49% medicine needs of the country. 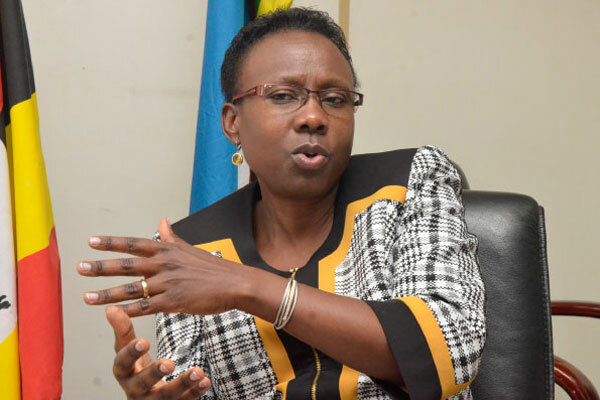 Aceng made the revelation Tuesday 12 while tabling a statement on the state of the health service delivery in Uganda on the floor of Parliament where she revealed that although the total Budget allocation to the Health Sector for FY 2O18/2019 increased to Shs2,308,36Trn up from Shs1,824Trn in FY 2017/18, this still isn’t enough to meet the needs of Uganda’s medical needs. She told Parliament that overtime the Government Essential Medicines and Health Supplies (EMHS) allocation has been increasing from Shs202 in FY 2010/2011 to Shs.284Bn in FY 2017/18 but the budget increases for medicines are not in tandem with the population growth over the years and thus the declining trends in the per capita allocations which represents only 49% of the annual medicines need. According to the breakdown, each Health Centre 11 is allocated Shs5,395,450/= annually translating into Shs900,000 for every two months for a population of approximately 5,000 while each Health Centre III is allocated Shs10,790,900 which translates into Shs1,800,000 for every two months. Each Health Centre IV is allocated Shs2l,581,800 which translates into 3,500,0001 for every two months while each General Hospital is allocated Shs77,610,810 which translates into Shs13,000,000 for every two months as a referral for a population of 500,000 and each Regional Referral Hospital is allocated Shs240,584,615 every two months which translated into an average of Shs1.4Bn annually. The Minister also told Parliament that the Ministry has approved the Strategic Plan for addressing emergency medical services gaps in the country and also endorsed the EMS Policy for presentation to cabinet and the Ministry of Health has been training lay first responders and medical first responders in order to improve on the responsiveness to emergencies wherever they occur.